Last week on Friday my father, Louis J. Cote, Professor Emeritus of Mathematics at Purdue University died. He was 92 and lived as good and full a life as anyone could hope for. He inspired me to love the wonder of mechanical things from watches to automobiles to cameras. As a mathematician he particularly loved mechanical computing and calculating machines. He and I went to a farm auction just outside of Lafayette, Indiana when I was a little kid where he bought this beautiful Curta "Pepper Grinder" Rally Calculator. It was always one of his favorite things. He used it to do his taxes one year just to show us it could be done. My father was a very accomplished photographer. He gave me a Kodak Retina 35mm camera when I was about 8 or 9 years old on the condition that I learn to develop and print my own black & white film. 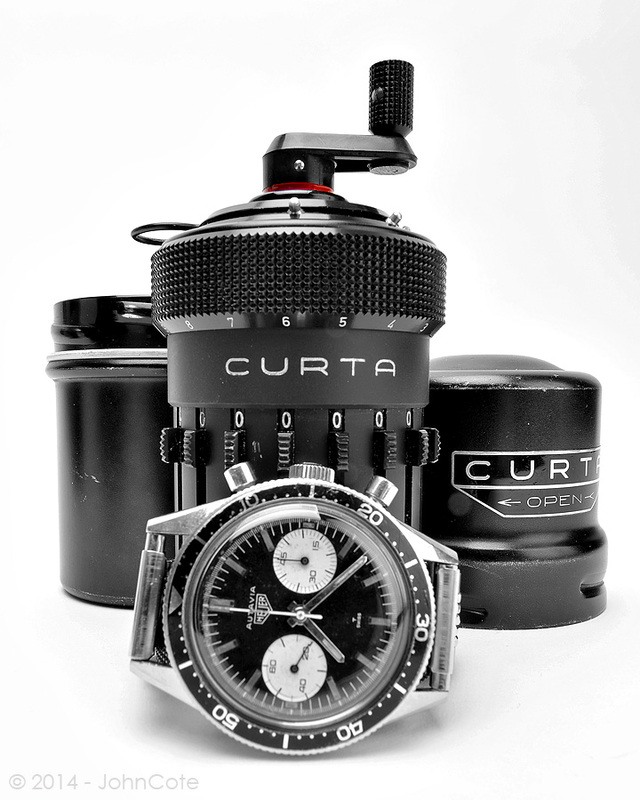 I think he would have liked this almost black & white photo with the little red accent he thought helped make his little Curta rally calculator such an elegant little device.